FieldLink is CDI's proprietary, wireless radio frequency communications and control system designed to allow fast and easy communications and configuration of a variety of our products. Unlike Bluetooth, there is no tedious pairing or complex security configuration with FieldLink - simply plug it in, install the software and program your devices! 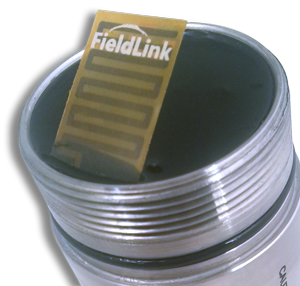 FieldLink is capable of seeing as many as seven FieldLink equipped devices at any time, with selection among the devices within range being a simple drop-down menu in the FieldLink Configurator program. 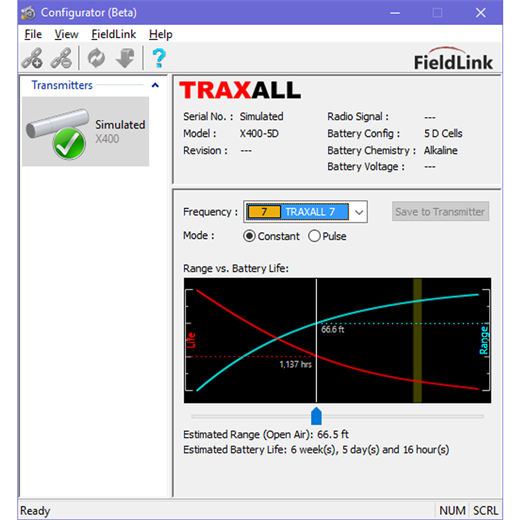 One of FieldLink's introductory uses is to configure CDI's new TRAXALL compatible "X series" transmitters among their seven colorized frequencies and 22Hz legacy frequency. Since this configuration process is wireless, it may be performed even when the transmitter is attached to a pipeline pig! 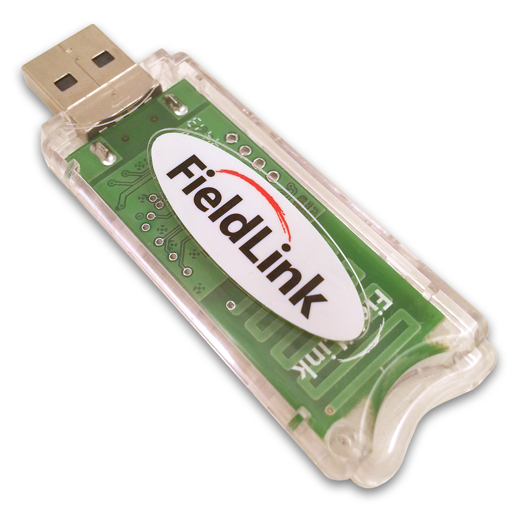 CDI's FieldLink Configurator program (below) is used to communicate with all of CDI's FieldLink compatible devices. 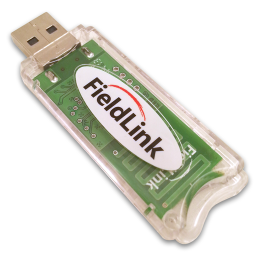 For more information on FieldLink Configurator, click here.